Every single one of our trees is hand-selected for vigour, structure and form, typical to the particular species. 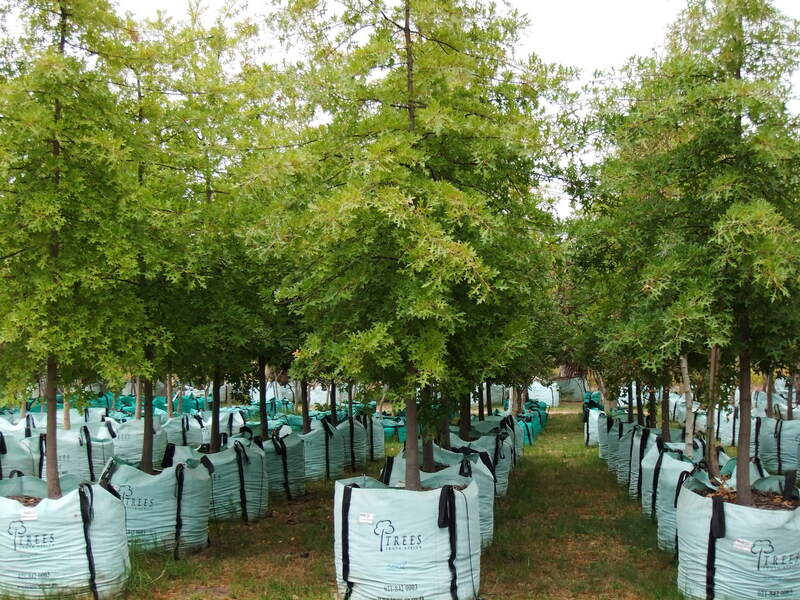 As our trees often spend extended periods of time in our nurseries, we designed our storage space to accommodate growth; by allowing ample space for balanced tree crown development and keeping stem diameter growth in proportion to tree height, we guarantee that our trees are sturdy, top-quality, hardened-off and have no need for support-staking once relocated in your garden. 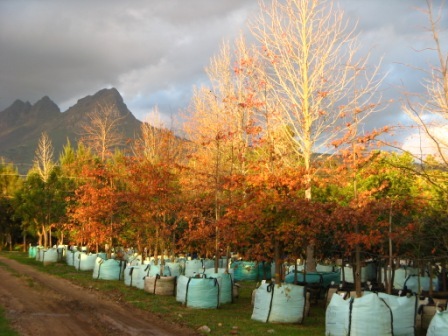 We currently have nurseries that cover 25 hectares around the Cape Peninsula and Southern Cape. Our feature Cape Peninsula nursery and head office is situated on the rolling hills of the Lynedoch valley between the N2 and Stellenbosch. Travelling east along the coast you’ll find our Southern Cape (Garden Route) warehouse. It is located at the start of the picturesque Karatara Pass in Sedgefield. Our nurseries hold stock of trees in a variety of sizes. Our smallest tree fits into a 250-litre bag, followed by 500-, 1000-, 2000-, 3000-, and 4500-litre bags. Special requirement bags can go as far as 7000-litre bags, if necessary. This means that whether your landscape requires a tree that’s 2.5m tall or a tree that’s 15m tall, we’ll have the perfect one. 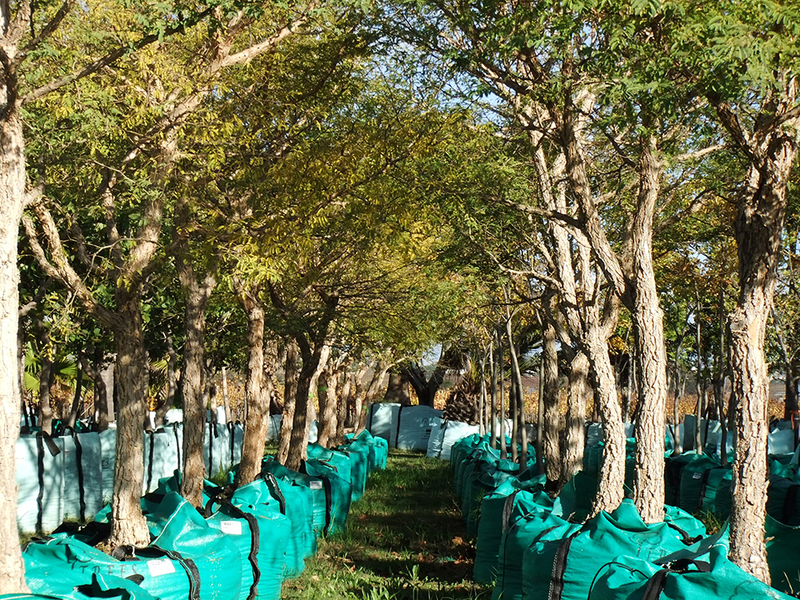 Each tree within our nurseries is assigned a unique number and their dimensions and growth are tracked individually; as these figures are continuously updated, you’ll be able to search for and access the latest pricing and information.